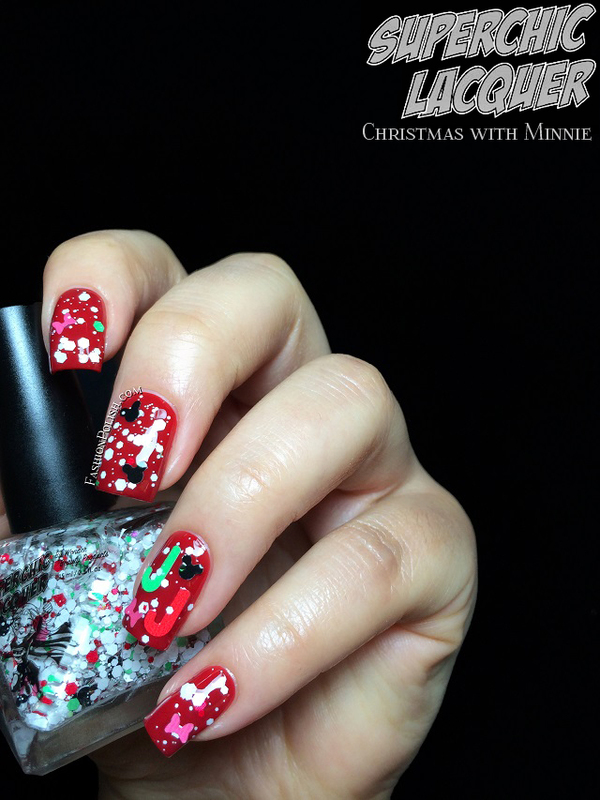 Fashion Polish: Superchic Lacquer Sleigh Ride Wonderland Tour collection plus Christmas with Minnie! 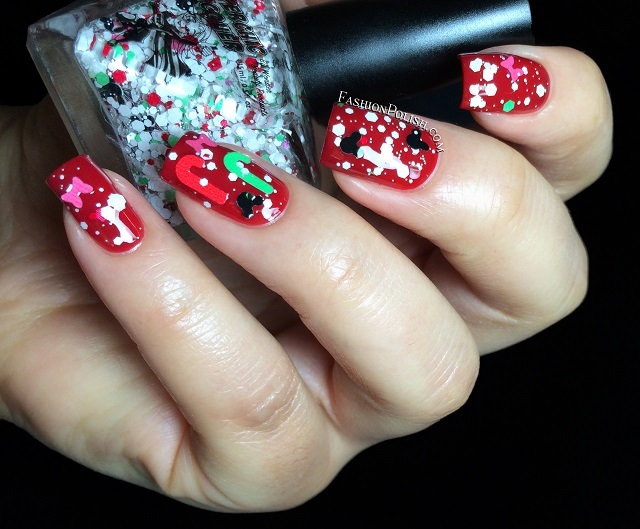 Superchic Lacquer Sleigh Ride Wonderland Tour collection plus Christmas with Minnie! 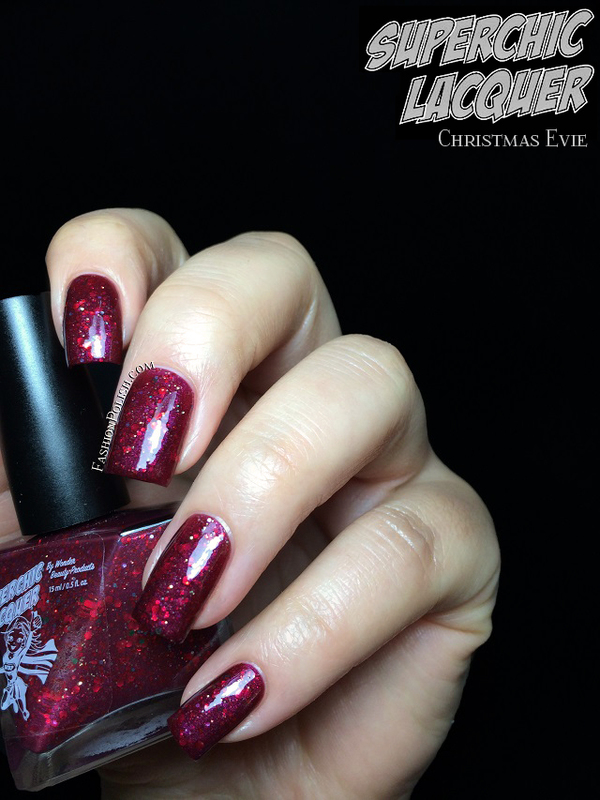 Hi guys, I'm back today with the Superchic Lacquer Sleigh Ride Wonderland Tour collection! Truth be told, I'm rather new to the brand and I must confess that, just like you, I imagine, was really curious to see what they would look like in real life! Let's get started, shall we? Ivysicle is a white crelly filled with different sizes of white, green and gold hexes. I used 2 coats but depending on your nails length/application, it might require a third. 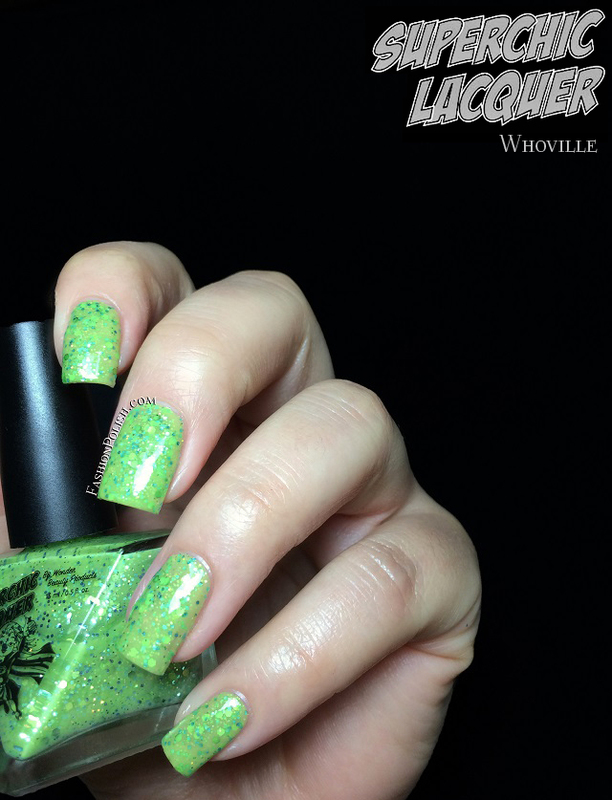 Whoville is a Grinch green jelly with matching hex glitters as well as gold and icy blue pieces. I used 3 thin coats in my swatches below. 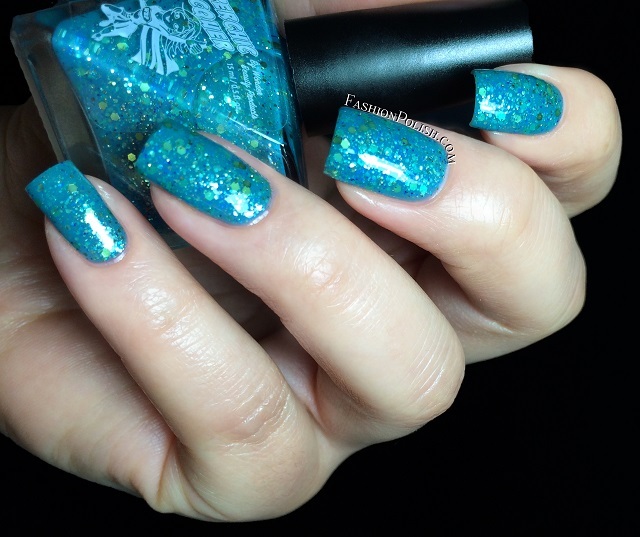 Mammoth is a pale blue based grey jelly with silver and bright iridescent blue glitters. I also used 3 thin coats for this one. Ugly Sweater Party is a slate grey jelly packed with icy blue and Grinch green hexes, also a 2 to 3 coater. Coats used : 2. 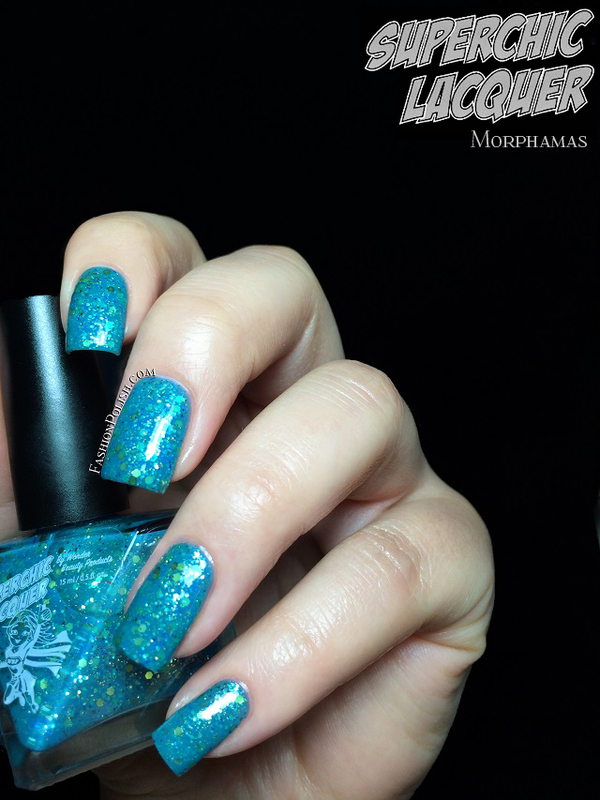 Morphamas is a teal hued blue jelly with gold and blue glitters in different sizes. Same coverage as the previous colors, I used 3 thin coats. 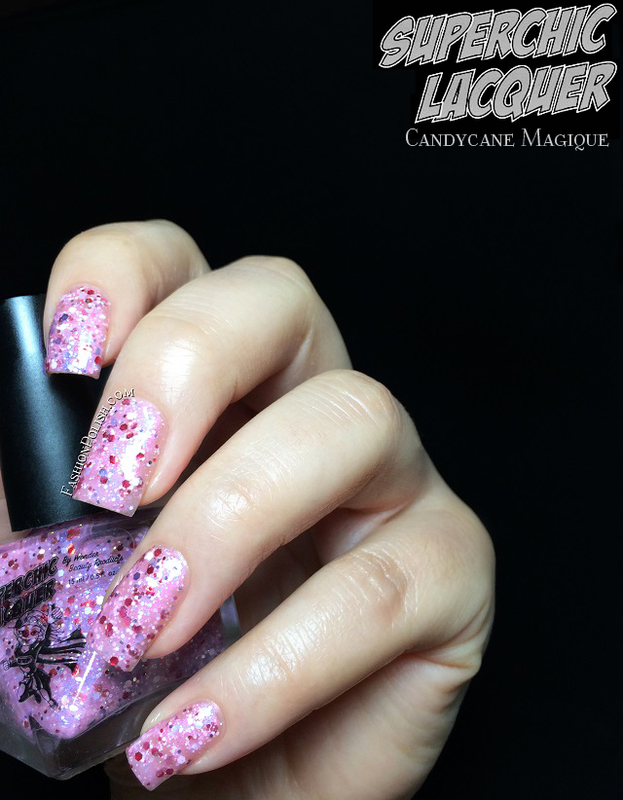 Candycane Magique is a pink jelly with silver and red glitters, a touch of green micro glitters and a subtle blue flash. Again, 3 thin coats were used. 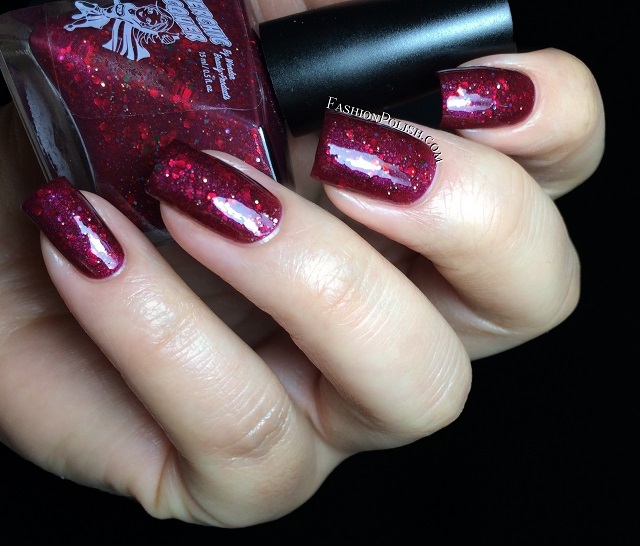 Christmas Evie is a deep wine red shimmer with silver, red and green glitters. Full coverage with 2 coats here. And finally Christmas with Minnie is a matte white, green and red glitter bomb also filled with several shaped glitters : black Minnie heads / pink Minnie bows as well as red and green candy canes. I used 1 dabbed coat over a red creme but found it very difficult to fish out the larger pieces. Luckily, it came with lots of extra glitters in a small red velvet pouch so I could just use those instead! Formula was really nice on all of these, they're literally packed with glitters! Most of them are 3 coaters but I found them particularly even so it didn't bother me one bit. My top picks : Mammoth, Ugly Sweater Party, Morphamas and Christmas Evie! Superchic Lacquer retails for $10 each and can be purchased from Wonder Beauty Products or soon on Overall Beauty.